WASHINGTON, D.C.—We Serve is delighted to announce the 2014 winners of the We Serve Awards for excellence in the holistic healing of body, mind and spirit of our veterans and military family members. These awards are the culmination of a completely independent online nationwide nomination and voting process making it possible for veterans and military family members themselves to nominate and cast winning votes for those veteran service providers who they believed offered the most tangible, holistic and compassionate services to the military community. Soldier’s Heart, Troy, New York, for Excellence in Mentoring. Soldier’s Heart, founded by Edward Tick, PhD, and Kate Dahlstedt, LMHC, tends the emotional, moral, and spiritual wounds resulting from war and military service. It honors and nurtures the wisdom earned through trauma. It offers genuine homecoming, reintegration, and a path for post-traumatic growth to troops, veterans, families, and communities. Learn more at: http://www.soldiersheart.net. Hire Our Heroes, Leesburg, Virginia, for Excellence in Transition Readiness. Hire Our Heroes was founded by veterans Dan Caporale, Tim Kirk and Paul Magness with the goal of capturing each transitioning veteran within one year prior to their discharge to provide them with a road map that will allow for the veteran to position themselves for a more successful career transition as they leave the service.  Hire Our Heroes helps train, mentor and coach veterans in career job placement and will even fly them to their next job interview across the country, all at no cost to the veteran. Hire Our Heroes makes daily impacts with a high touch approach by assisting veterans with resume writing, social media training and connecting with employers looking to hire veterans. Learn more at: https://www.hireourheroes.org. Service Source–Warrior Bridge, Alexandria, VA for Excellence in Crisis. A program started by Service Source, a 40-year-old national organization helping Americans with disabilities, Warrior Bridge offers a vital connection to resources and support for veterans with disabilities as they seek employment, self-sufficiency and improved quality of life. Led by disabled veteran Mike Costanzo, the Warrior Bridge program has served 538 veterans with disabilities through a range of support services, directly employed 115 veterans and placed 99 veterans in community employment in just the past year. Learn more at: http://www.servicesource.org/warrior-bridge. Learn more about the We Serve Awards at http://www.weserveawards.org.